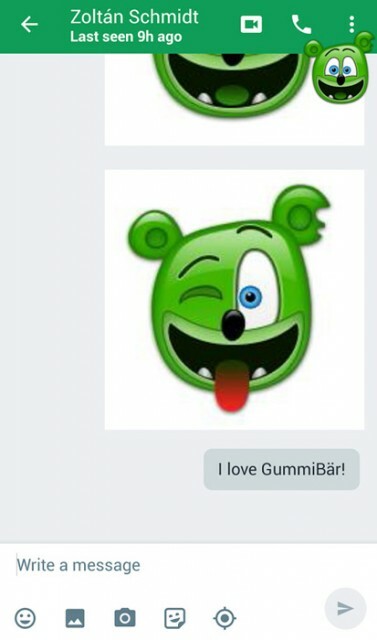 Gummibar The Gummy Bear Emoji App Now Available for Android - Gummybear International Inc.
Gummybear International Inc., the creators and owners of the Gummibär brand, have created an emoji app that is now available for free for Android users on Google Play. 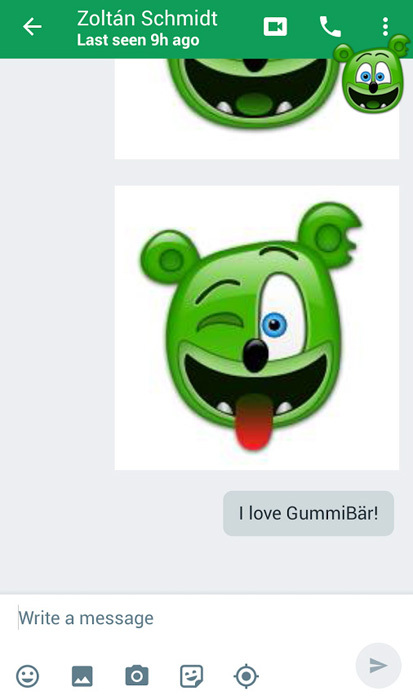 After downloading the app, Android users can use Gummibär emojis in Hangouts, Facebook Messenger or Twitter by tapping the floating Gummibär head on their screen while in any messaging app and select an emoji from the menu. 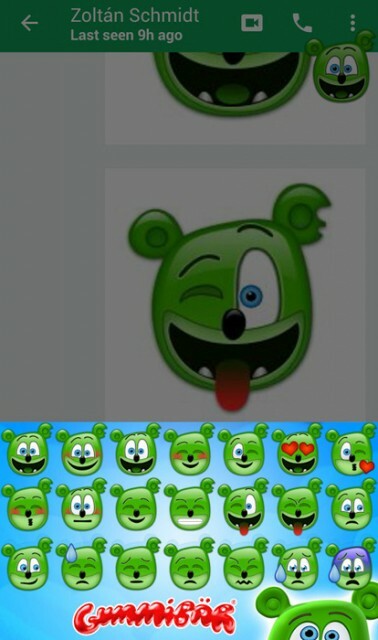 The emoji will then be inserted into the text field. 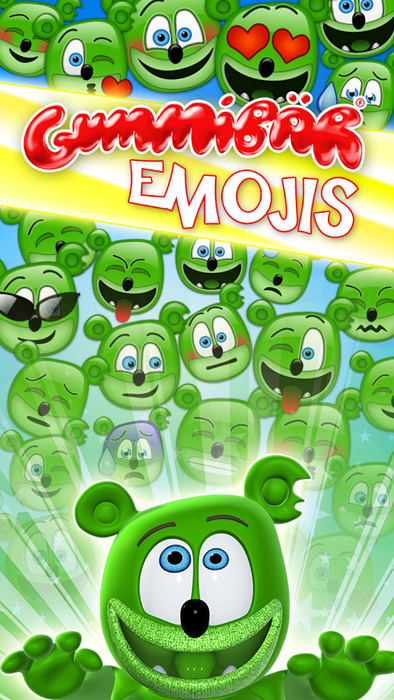 See below for screenshots of the Emoji app.